Hamilton Heights plays this morning in the GEICO High School Basketball Nationals girls' championship game after beating Winter Haven (Fla.) 62-49 on Friday at Christ the King High School in Queens, N.Y. The Lady Hawks (25-2) are in the final for the second year in a row, this time against Central Valley (28-0) from Veradale, Wash., which defeated Georgia Class AAAAAAA champion Westlake (30-2) 70-57 in the second semifinal. With every starter more than 6-foot tall, Hamilton Heights used its size to control Winter Haven (32-2) — with 10 blocked shots and a 48-34 rebounds margin. Junior Esmery Martinez led the Chattanooga team with 17 points and 18 rebounds, while Elizabeth Balogun scored 14 points and Jazmine Massengill had 13 points, eight rebounds and seven assists.
' Covenant College announced Friday that Skylar Bareford has been hired as women's basketball coach after a national search. 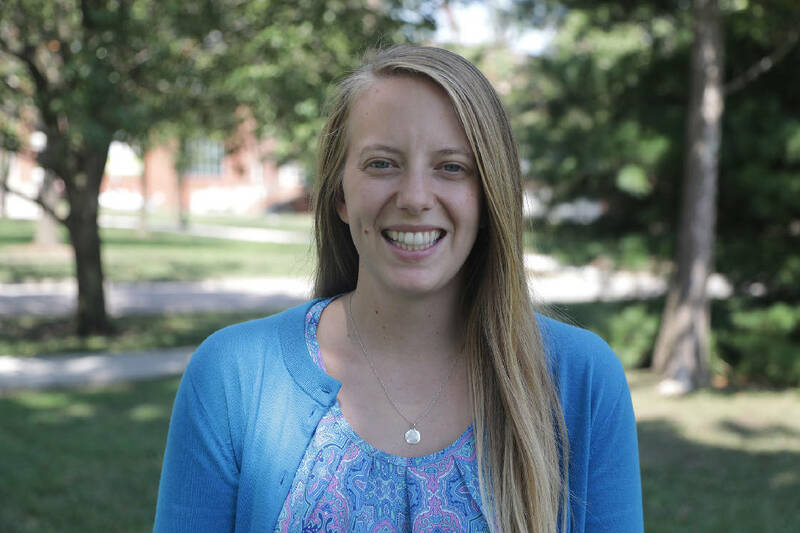 She has been the top assistant and senior woman administrator at Greenville (Ill.) University, where she has served the past four years and taught in the sport and kinesiology department. "We were intentional about recruiting a head coach that was committed to discipleship, academics, recruiting and the pursuit of excellence," Covenant athletic director Tim Sceggel said in the announcement release. "Skylar's compelling vision for each of those areas in the women's basketball program made it clear that she was the best fit for this role." Bareford is a 2014 graduate of Gordon College in Massachusetts, where she played basketball and softball and was a team captain in both. Covenant's women went 14-12 this past season and return three starters. "I am committed to us becoming a dynamic, disciplined and selfless team on the court," Bareford said. "Our goal will be to set the tone in every game in enthusiasm, encouragement and energy from the bench to the floor. In all we do, on and off the court, my vision is for our young women to graduate from Covenant knowing more fully who they are in Christ." ' Wes Albert allowed three hits in 6 1/3 innings and Peyton Meeker batted in three runs as the Lee University baseball team opened its weekend Gulf South Conference series at Valdosta State with a 10-0 win Friday. Jordan Howard was 3-for-3 with a triple, a double, three runs scored and an RBI, and Miguel Pimentel was 2-for-3 with a double, two walks, two RBIs and a run for Lee (17-5, 10-6), while Tyler Payne doubled and singled and score three times, Ryan Beamish had two RBIs and Dalton Ney was 2-for-4 with an RBI and a run.
' The NAIA's ninth-ranked Bryan College Lions began their Appalachian Athletic Conference series with an 8-2 win Friday over visiting Milligan. The Lions are 28-5, 12-1 in AAC games. And Tennessee Wesleyan rose to 18-16, 8-5 in the AAC, with an 11-4 victory at Montreat. Bryan ace Stephen Chamblee had another 13-strikeout game in his eight innings, and Lake Burris was 2-for-4 with a home run and two RBIs. David Scoggins also drove in two runs for the Lions, and Trevor Behrent and Cody Young each was 2-for-3 with an RBI — Behrent scoring twice. Tyler Scott was 2-for-4.
' Drew Mancuso pitched a six-hitter and Trey Akins and Jack Galanek each was 2-for-3 with an RBI as Sewanee opened its Southern Athletic Association home series against Hendrix with a 3-1 win Friday. Tyler Dunbar added an RBI double for the Tigers (7-17, 2-11). Tanner Cooper and Layton Burge each had two hits for Hendrix (8-17, 2-8).
' Huntingdon defeated Covenant 9-3 in their USA South baseball series opener Friday at Montgomery, Ala. Joel Johnson drove in two runs, C.J. Edmond was 2-for-3 and Trenton Nobles and Devin Cerrato each doubled and singled and scored a run for Covenant (9-18, 7-9), Nobles with an RBI.
' Austin Henry and Hunter Gilliland each was 3-for-5 with two RBIs as Walters State beat visiting Cleveland State 11-4 in the opener of their TCCAA series. The Senators are 32-3, 12-0 in league play. Hunter Oliver homered for the Cougars (22-12, 6-7) and Noah Hill and Rhett Baldwin each had an RBI as well. Baldwin was 1-for-1.